Gifts Engraving is a company with a long history that is based in Gran Canaria, Spain. Our long experience in the field of personalization by photo and text engraving, customizing of t-shirts, mugs, phone cases and others, makes us your perfect partner, when you are looking for a unique gift for any event. We prides it self in offering you the very best in engraved and personalized gifts. All of our gifts have been specially selected, and personalized professionally by our master engravers. So if you are looking for a gift, that will impress everyone and have a special meaning, then you have come to the right web place. Our website is fully SSL encrypted, so that you can shop with us fully secured, knowing that you personal details entered are protected to the highest level. You can see that on every page of our site there is a green padlock in the URL, meaning that you are shopping from fully secure site. Our payment gateway operates to the highest global security standards allowing you to complete you transaction in a top secure environment. Our check out includes Credit Card payment, Pay Pal payment and bank transfer. Processing Credit Card payment through Braintree gateway company. This is PayPal branch offering extra layer of security for our clients. Our dedicated customer service team are here to help you, should you need us. So, if you need help selecting a gift or need help to personalize your order, we can assure you that we are here to help you. You can contact us via phone, email or through our live chat messaging service . Our website is specially designed, so that you can navigate and shop with ease. 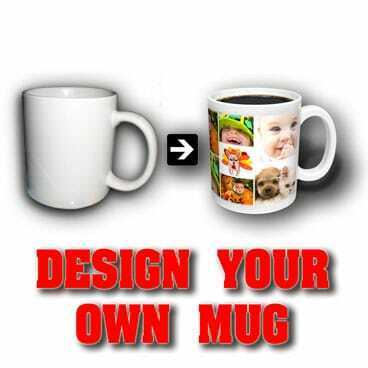 In just a few clicks you can personalise your item and have it ordered, it’s that easy. Some of our products have visual product designer. Inside you can see exactly how your custom gift will look like, beforehand. You can also create an account, which will allow for you to see your orders,create a wish list and receive special offers from us. We guarantee for our products and services. If you are not completely satisfied with your order or if we made a mistake, we will do our best in order to make you satisfied with our service. Our constant aim is to improve our engraving and other customizable services and this reflects positively on our clients shopping experience. Our customers always receive good attitude and understanding. We will be happy to receive suggestions and comments on all kinds of services and products we offer. We hope that you have a good time shopping for the perfect personalised gift and visit us again when you need us.